Having made its UK debut at last year’s BFI London Film Festival with the full eighteen segments (clocking in at a rather epic 3 hours), this UK theatrical release from Soda Pictures sees a streamlined version comprising ten of the best shorts, with an all-star pedigree, both on and off screen. Working behind the camera to bring ten of Winton’s stories to life are established and up-and-coming directors (Robert Connolly, Warwick Thornton, Tony Ayres, Claire McCarthy, Justin Kurzel, Marieka Walsh), alongside bold directorial debuts from actors David Wenham and Mia Wasikowska, theatre director Simon Stone, and indigenous dancer/choreographer Stephen Page. In front of the camera is a similar wealth of Antipodean screen talent, including Cate Blanchett, David Wenham, Hugo Weaving, Rose Byrne, Miranda Otto and Richard Roxburgh. If you can’t make a theatrical screening, or would prefer to take in the full three-hour experience, Soda Pictures have also made the full version available on Premium VOD via iTunes. In addition to the ten segments above, this version includes the remaining eight, with contributions from filmmakers Jonathan auf der Heide, Rhys Graham, Ashlee Page, Ian Meadows, and Anthony Lucas, as well as theatre maker Yron Lifschitz, artist Shaun Gladwell, and versatile indigenous performer Jub Clerc. 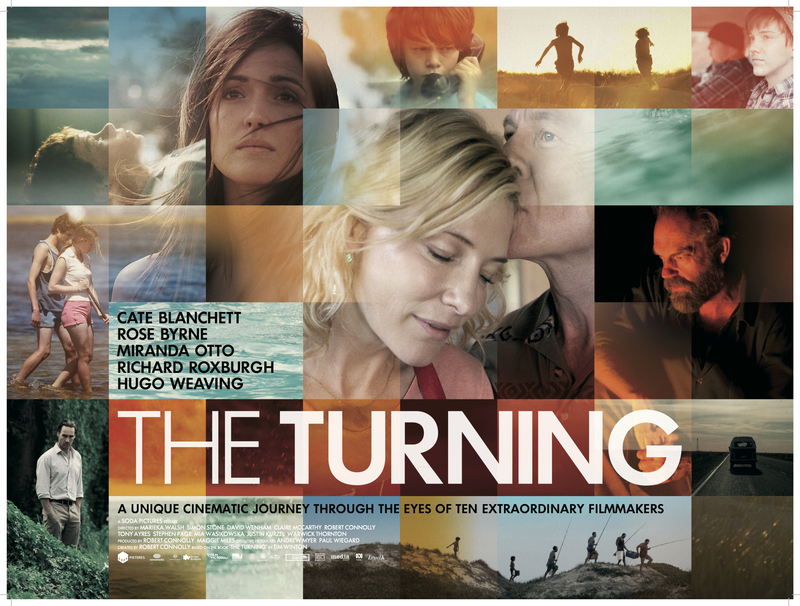 Full details of the entire film, including credits and synopses for each segment are available on the film’s official website, theturningmovie.com.au. Catch the abridged version of The Turning on limited UK theatrical release – and the full version on premium VOD – from February 6 (via Soda Pictures).